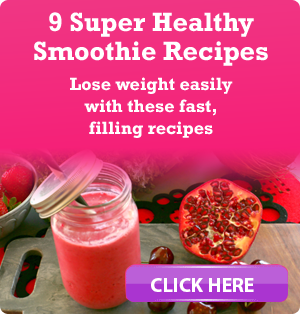 So you want to know how to succeed at weight loss without really trying? You think it’s impossible.. right? Wrong! 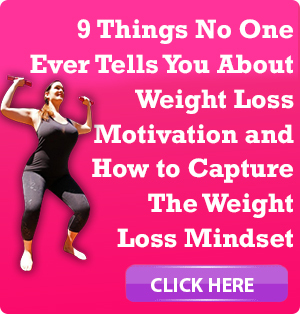 But the thing is.. if you actually want to succeed at weight loss then you have to do something different… because what you’ve done before… and what everyone else is still doing now… just isn’t working. 50% of Australians set New Year’s Resolutions. Losing weight is at the top of the list for many. Despite this 88% of New Year’s Resolutions fail. 14 million Australians are overweight or obese and obesity has overtaken smoking as the leading cause or premature death and illness in this country. Changes prove more effective and sustainable when easily introduced. More importantly, it helps you sustain your interest in the task at hand. If you start out doing less than you can actually handle, you build up energy and enthusiasm, kind of like water being build up behind a dam. That built up energy and enthusiasm ensures that you don’t run out of steam early on, but can keep going for much longer. Consider all the years gone by when “lose weight” was on your New Year’s resolution list. 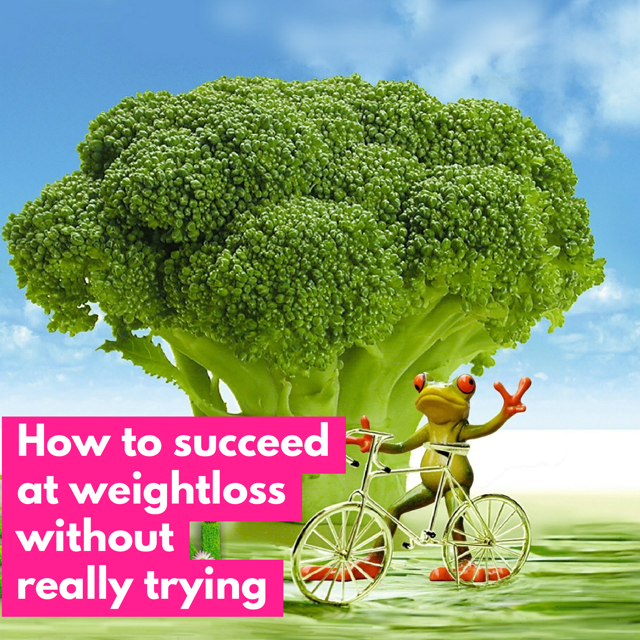 Consider all the trying hard things you’ve tried… still overweight? Then this approach just isn’t working. Successful weight loss is measured by years, not weeks! Think about this, if you give 100% effort, you might last maybe three weeks. And then it’s too much, had enough. So your net result is 300%. If you give just 80% effort, you can possibly last a little bit longer, say five weeks. So your net effort result is 5 x 80% for a total of 400%. So already you’re ahead just by lasting that little bit longer and just by going that little bit easier on yourself. Now imagine you were to give just 25%… so really just kind of tightening in, not giving any effort at all hardly, but now you’re able to last longer, say 25 weeks… you’ll end up with 625% effort results. Now, not only have you achieved more than double the results, the more important thing is that you haven’t quit like all those that quit after 3 weeks because it was too hard to continue. Even better than this… Because you’ve done it for 25 weeks, you’re much more likely to keep doing it forever. You’ve made a lifestyle change. You’ve built a new habit. And you know what, you’ve barely even noticed because it’s been easy-peasy the whole way through. 25% effort, anyone can do that. The average 50-kilo woman burns an extra 120 calories per hour standing. 120 calories an hour. That’s a lot. If they stood for four hours a day, 365 days a year, they would burn an extra 1,72,800 calories. That’s 23 kilograms of fat.Now a 100-kilo woman can burn extra 200 calories per day just by standing. So if they stood for four hours a day, 365 days, so for a whole year, that’s an extra 2,88,800 extra calories, 38 kilograms of fat. So if you’re 100 kilos and you have 38 kilograms of fat and you want to take a year, just stand for an extra four hours every day and it will happen. Think about it. These days, we’re in the habit of standing up to take a break, whereas before we would sit down to take a break. 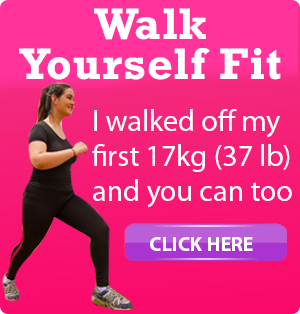 Want to lose a bit more weight a bit more quickly, just get a bit more active. Think of all the past contestants on shows such as “The Block” – the weight just flew off them just because they were much more active than they were before they started the show. If you are currently not exercising – or exercising minimally – you don’t need to follow a specific exercise plan – you just need to do something – anything – and keep doing it – and the weight will fall off! Planning and preparation (particularly in relation to food) are key elements to weight-loss. New research actually suggests that these are more important in attaining and maintaining significant weight loss than willpower! Everyone has days when they come home from work completely exhausted. That’s when it’s all too easy to choose pick up or delivery. Spend one Sunday afternoon a month cooking and freezing in meal size batches, eg: chicken breasts, vegetable soups (in winter), ratatouille, meatloaves, rissoles, healthy lasagnes, bolognaise sauce for spaghetti bolognaise, cut fruit and freeze in packets (with or without yoghurt) for smoothies etc.. or even invest in a compact juicer such as the ones found here. Consider investing in some healthy prepacked frozen meals to have on hand. When serving add extra vegetables and low fat protein to make them into a meal that’s still healthy, but that now fills you up as well. Forget what you ‘should’ do and think about what you ‘can’ do instead. It’s about progress, not perfection. Aim for the ideal (eventually) but keep it real in the meantime. What is one behavioural change that you can do today that you could probably do for the rest of your life without too much extra effort? If you currently drink no water, then consider drinking ½ a glass of water everyday for the rest of your life. It sounds challenging, but not impossible (ie it’s comfortably challenging – not too hard, but not too easy). Once it becomes easy (ie it becomes a habit) then add something else that is comfortably challenging but again something that you can see yourself doing for the rest of your life. If you immediately jump from no exercise to even 30 mins of exercise three times a week (let alone an hour of exercise six days a week) then you are setting yourself up for failure before you even begin! Need help? I’m just one click away!